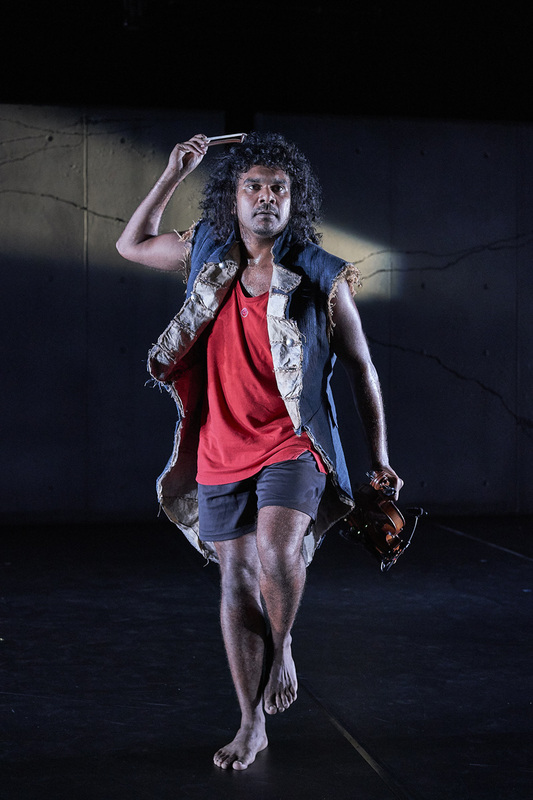 Marrugeku’s dynamic new triple bill, Burrbgaja Yalirra — Dancing Forwards, held its world premiere in Broome in May. Our global team of collaborators converged on Broome from Noonkanbah, Perth, Sydney, Belgium and Burkina Faso to put the finishing touches on the work and celebrate its first performances at the beautiful Pigram Garden Theatre, the semi-outdoor theatre in Broome’s Civic Centre. ABC Kimberley were kind enough to invite each of our performers on to the airwaves on separate days leading up to the premiere to talk about what inspired their solos, and to chat about their respective careers and backgrounds. We also had a great time meeting and chatting to Dance students from Broome Senior High and St Marys schools, who came to our dress rehearsal.